New Mexico’s DWI/DUI laws are extremely punitive. It does not matter who you are, the courts do not “go easy” on anyone. That is why it is extremely important to have an experienced lawyer who will push to make sure the fight is fair. Our Albuquerque DWI/DUI attorneys are committed to fighting for your defense every step of the way. We do what it takes to protect your rights and freedom. First Offense – Misdemeanor. 6 months to 1 year revocation of NM driving privileges, up to 90 days in jail, DWI/DUI school, alcohol evaluation, 1 year with ignition interlock in vehicle, community service, and the Victims Impact Panel. Second Offense – Misdemeanor. Mandatory 4 days in jail, 2 years revocation of license, 2 years of ignition interlock in vehicle, up to $1000 in fines, alcohol evaluation, community service, treatment. Third Offense – Misdemeanor. 30 days in jail, 3 years license revocation, up to $1000 in fines, ignition interlock for 3 years, alcohol evaluation, community service, extended probation. Fourth Offense – Felony 4th Degree. 6-18 months in prison, lifetime license revocation, lifetime ignition interlock, up to $5000 in fines, alcohol evaluation and treatment. Fifth Offense – Felony 4th Degree. 1-2 years in prison, lifetime revocation of NM driver’s license, $5000 in fines, permanent/lifetime ignition interlock, alcohol treatment. Sixth Offense – Felony 3rd Degree. 18-30 months in prison, $5000 in fines to the State, lifetime revocation of driver’s license, alcohol evaluation and treatment, lifetime ignition interlock device. Seventh Offense – Felony 3rd Degree. 2-3 years in prison, non negotiable. $5000 in fines, lifetime license revocation, lifetime ignition interlock in your vehicle, alcohol evaluation and treatment. It is important to get in touch with an experienced DWI/DUI attorney immediately after you are arrested. The DWI/DUI lawyers at the Law Office of Mark Keller have over 80 years of experience defending DWI/DUIs in the State of New Mexico. Our attorneys will build a strong defense on your behalf as we seek to minimize the damage a DWI/DUI may have on your life. Aggravated DWI/DUI – Misdemeanor. Blowing a 0.16 BAC, refusal to take BAC test, or causing bodily harm in DWI/DUI constitutes an Aggravated DWI/DUI. While Aggravated DWI/DUI usually only adds jail time to misdemeanor convictions, it can contribute to felony conviction. Driving on a Revoked License from DWI/DUI– Misdemeanor. 7 days of mandatory jail time, additional year of driver’s license revocation, up to $1000 in fines, 30 day immobilization of offender’s vehicle. DWI/DUI with a Child in the Car – Felony 3rd Degree. 3 years in prison, up to $5000 in fines, potential loss of parenting rights. Selling Alcohol to a Minor – Felony 4th Degree. 18 months in prison, a potential of $5000 in fines. Additional charges can make an average DWI/DUI become extremely problematic. The added offenses draw the State’s attention to your case and they will often seek extreme punitive measures. Because you do not want to lose any more than you already have, it is important to have aggressive representation to protect your rights and best interests when you are facing a DWI/DUI with additional charges. At the Law Office of Mark Keller, we are passionate about defending those accused of drunk driving in New Mexico. We know that the consequences of a DWI/DUI conviction can be life-altering. 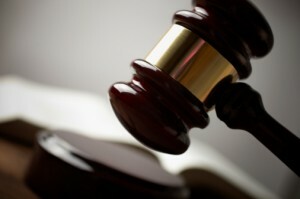 Our firm provides the aggressive representation you need to protect your rights and interests. Contact one of our experienced DWI/DUI attorneys today to learn how we can help. Call (505) 842-1440 to schedule your free consultation and discuss your DWI/DUI with an Albuquerque attorney the same day.